Hello, Windborn readers! I hope you’ve all been having a nice holiday season. 2018 is so close to ending, and with Verse 1 of the comic now complete, I wanted to take an opportunity to make one last announcement and update before things wrap up for this year. First and most, I wanted to express my sincerest gratitude towards all who have been reading this comic since its launch in August. Even if the ammount is only modest so far, I am overjoyed to know Windborn already is already gaining fans who are invested in the story and characters, as well as looking forward to what’s coming next. The first chapter may be finished, but the full story has barely even begun. Be assured that there is plenty more Windborn to come and I’m hopeful that it will meet everyone’s expectations! With that said, I also wanted to take this opportunity to openly invite everybody to give their thoughts on the comic so far. I’d be pleased to hear your opinions on what you like, what you think could be better and what you’d like to see more of. Please remember to be respectful towards the comments of other readers, whether they’re positive or negative. Any and all kinds opinions are welcome! And last but not least, I must announce that the comic will go on a brief hiatus. Starting today, no new Windborn pages will be posted until January 10th of 2019. After that, the comic will resume with Verse 2 (of which, as of this post, there are many pages finished and ready), as well as new Lorekeep entries that will accompany it. I hope everyone’s looking forward to the rest of the story. There is still more of Avia to be seen and more avin in it to meet! 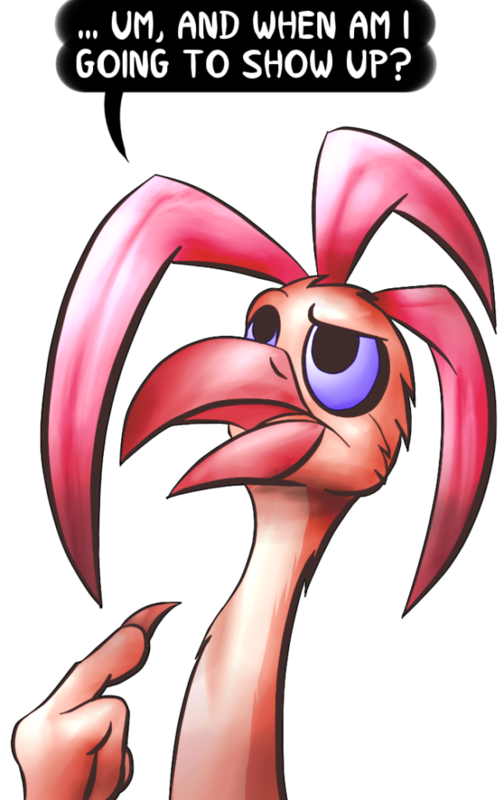 Don’t worry, I haven’t forgotten about a certain pink avin who’s billed as a main character, but is yet to appear in the story. It will take a little while until she’s introduced, but rest asssured, she’ll be an important part of the story soon enough! That is all for now. Remember, you can leave your thoughts on Windborn here on the comments of this post or in Twitter. Or if you prefer, you can also send them directly as email. Happy new year and see you all in January! The use of Sepia tones is quite unusual, but you also designed the comic so that you can tell which character is which without the need of full color, and coloring in the eyes helped out more. It’s also a good thing that you made sure the word balloons were in order and can easily tell who was saying what. The Lorekeep sections did also fill in a good number of holes I felt were in the story, and as the lorekeep is filled in more, I’m sure it will fill in more holes. Errrr, I somehow forgot this sentence: You clearly have put a lot of time and effort into the background into, so it would be a real shame to see Windborn end up as another statistic on the “Failed List”. My only complaint thus far is the lack of notice for the twice-a-week updates on the site, since not everyone uses ‘social’ media. Hey there! Thank you so much for your thorough and honest comments. Rest assured, I’ll do my very best to make sure Windborn doesn’t end up in any failed list and makes it through the very end as I have planned, without fizzling away or shifting away from being a webcomic at all. As for the update thing, from the start I announced that the comic would either once or twice a week depending on my output. Also, I’m aware not everyone uses social media, which is I offer RSS feed as an alternative to keep up with updates. However, I am starting to consider having set days during the week to post new pages, rather than posting them as soon as a new one is ready any day of the week. That way, readers will know when to expect pages with more certainty. I’ll make sure to you all know about that once the comic returns from hiatus. Thanks again for your feedback! It’s very appreciated.